Are you on the hunt for Valentine’s Day gifts for dogs? If you just answered yes, you are in very good company. One recent international survey reveals 50 percent of pet owners plan to buy their furry significant other a Valentine’s Day gift. When you present treats as Valentine’s Day gifts for dogs, she may not ever grasp that this is because of a special annual holiday that celebrates love. But you can be sure that your pooch will understand the message that matters most—you love her. In the same pet owners survey, owners shared other favorite ways they show their dog love, including petting, playtime, treats and kisses. 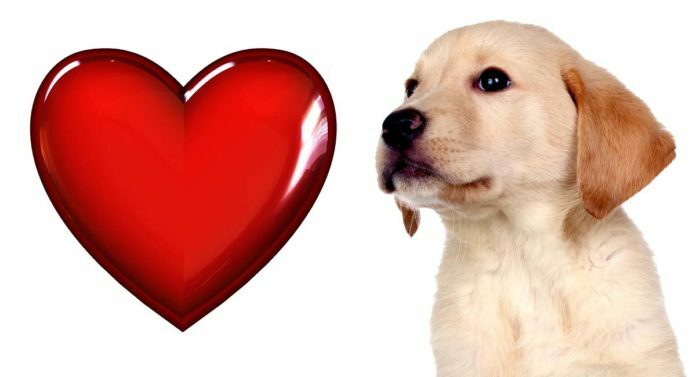 Is it essential to buy Valentine’s Day gifts for dogs? Of course not. But if inspiration strikes and you see something you just know your dog will adore or needs, it can be fun. 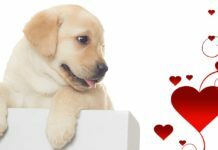 We hope these awesome ideas Valentine’s Day gifts for dogs will make your day-of-love festivities even more dear and special. Canine safety is never the most fun or relaxing topic. However, for new dog owners in particular, useful advice can go a long way to make sure this Valentine’s Day is safe and fun for you both. Be sure the size of the gift or treat matches the size of your dog’s mouth and chew strength. And it’s not just a matter of the dog’s physical size. Make sure if you have a dog that overeats, you separate these treats into portions. 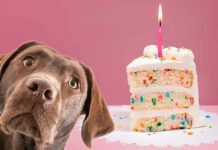 Chocolate, lilies, xylitol (a sweetener), festive wrappings like ribbons and bows, balloons, and medication are all common reasons pet owners call the veterinary ER on or around Valentine’s Day. Whether you and your pooch have kept company for many years or just met, supervise your dog around any new toy or treat on Valentine’s Day. So now let’s get to the fun stuff. Let’s explore 25 adorable Valentine’s Day gifts for dogs. This to-die-for plush nap mat comes in five styles and three sizes. It’s machine washable, and you can personalize it with your pup’s name. This sturdy 6 x 6-inch rope chew toy features white and red braided rope. It’s a perfect toy choice for your pup on Valentine’s Day. With plenty of color and style variety for pretty lady pups and manly male pooches, these tough no-stuffing crinkly toys will make your dog’s Valentine’s Day fun and festive. Here are yummy peanut butter and jelly dog treats packaged in a pretty pink box. What more could your lucky pup ask for this Valentine’s Day? Also choose from three other fun flavors. This red polka-dot dog collar with matching bow tie will make sure your pooch looks dandy and dapper this Valentine’s Day. This collar and bow-tie set comes in six sizes and five other patterns. Add a reliable, bright LED light to your dog’s fancy new Valentine’s collar. Walk-time safety never goes out of style. Choose from five different colors. The light comes with a replaceable 3V lithium battery that gives 20 to 25 hours of light, depending on mode. This matching red leash with a swivel bolt, snap-on closure and hand loop will put the cherry on top of your pooch’s new festive ensemble. You can choose from two leash lengths/widths and several other bright colors. While it may not be the most pleasant topic on Valentine’s Day (or any day), there is no doubt that poop happens. When it does, it sure can be nice to already have a special poop bag holder that can accommodate a few extras like keys, credit cards and dog treats. It is no secret most canines love chewing. With this edible-themed card, your dog can have his card and eat it too. The “card” is made of edible rawhide with a water-based, dog-safe dye. Planning a Valentine’s Day gifts for dogs get-together? Or do you have multiple pooches to buy for? This bakery party pack is the perfect pick. Vanilla-flavored dog cookies in a sustainably packaged, recyclable container (if your pup doesn’t chew it up first) make a fabulous party gift. This truly inspired double gift comes as a two-piece set—one for you and one for your pup. You can choose from gold or silver tone in a number of different styles. The set comes packaged in a soft bag, and the manufacturer offers a 100 percent satisfaction guarantee. Good dental and oral health lasts a lifetime. As a bonus, the kisses are sweeter (and better smelling) too. This all-natural pet dental spray can be sprayed directly along your dog’s gum line. Or, you can spritz some into her water bowl for a refresher. These adorable 100 percent cotton bandanas come in four designs to fit dogs with necks sized medium to large. This precious heart-themed dog bowl is made from veterinarian-recommended stainless steel and can be used for food or water. Choose from small, medium or large in four designs. 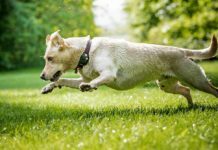 Statistics show that implanting your dog with a microchip will increase the chances of him being found and returned to you by as much as 30 percent. This is truly a lifetime gift of love you can’t put a price tag on. This FDA-approved dog water bottle comes with an all-natural coconut fiber filter that removes contaminants like chlorine and bacteria from your dog’s water. The replaceable filter https://www.amazon.com/PETKIT-Portable-Water-Bottle-Antibacterial/dp/B0735L8QVX/ref=pd_sbs_199_8?_encoding=UTF8&pd_rd_i=B073Z7CRXM&pd_rd_r=84ff22cb-1903-11e9-982d-992e9505a650&pd_rd_w=ydBXV&pd_rd_wg=p4P2i&pf_rd_p=7d5d9c3c-5e01-44ac-97fd-261afd40b865&pf_rd_r=M3NPM92MVMRKGHGFAJX6&refRID=M3NPM92MVMRKGHGFAJX6&th=1 can last up to six months. Choose from pink, blue, grey and green colors. Just when you thought your dog couldn’t look any cuter, along comes Doggles. These pet sunglasses are designed to protect your dog’s eyes from harmful ultraviolet light as well as physical dangers. 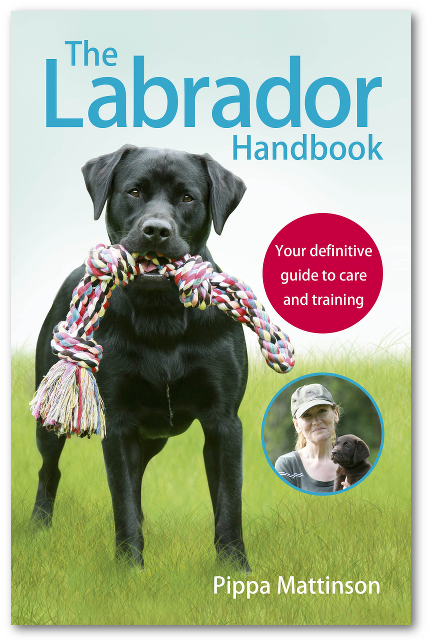 If your dog is cataract-prone, this can be a particularly wonderful gift to choose. There are lots of colors and styles to pick from. Yum. Maybe your pooch can’t partake of the bubbly and candies. However, this will more than make up for it—ice cream for dogs in a flavor no pup can resist. All you have to do is add water and freeze so it will be ready for your special celebration together. If you prefer (or it’s too cold for ice cream where you live) you can opt for a Puppy Cake https://www.amazon.com/dp/B0068OWGE0/ref=sxbs_sxwds-stppvp_2?pf_rd_p=d45777d6-4c64-4117-8332-1659db52e64f&pd_rd_wg=T3lWR&pf_rd_r=91G2Q5V9B7HR42E755QR&pd_rd_i=B0068OWGE0&pd_rd_w=qGlAp&pd_rd_r=9ad3ad09-eaf5-4b1d-877a-2d4db80bb751&ie=UTF8&qid=1547584625&sr=2 instead. Valentine’s Day gifts for dogs can be the traditional snuggle with the one you love in a cozy blanket for two. This amazingly soft blanket is reversible with micro-plush on one side and soft lamb wool on the other side. It comes in pink, red and several other colors. It is a gift that will say “I love you” all year long. 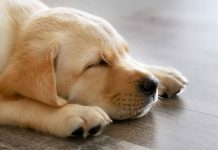 We live in a noise-saturated world—fireworks, thunder and lightning, construction, and other sounds can cause pups so much stress. These calming chews help with noise intolerance, separation anxiety and other behavioral stressors. Choose from turkey or peanut butter. Is this gift romantic? Not unless you are a squirrel-loving pup. But if you are, you just can’t go wrong with this highly rated, super-popular gift. Choose from four sizes and four characters. What is better than Valentine’s Day treats for your pup? Valentine’s Day gifts for dogs with treats, of course. This gift keeps giving (literally) all year long. You could argue that this is a gift for you both—or at least for your exhausted throwing arm. Four tennis balls come with the blaster. These USA-made dog treats get high marks from owners and dogs. The pack includes cheese, peanut butter, vanilla and carob/vanilla treat cookies. 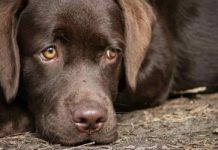 In one research study, 41 percent of pet owners shared they had owned a pet with anxiety issues. 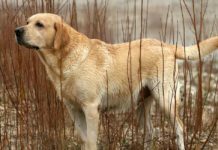 The truth is, anxiety is nearly as common in pups as it is in their people today. There’s also a 24-hour disposable heat source so your pup can feel warm and safe while you are away. Choose from four toy styles. We hope you enjoyed our suggestions for adorable Valentine’s Day gifts for dogs to show them your love. Which one is your favorite? Post your comments below.